Cormac Lucey is a frequent media commentator on public affairs in Ireland and is a weekly columnist on economics with the Irish edition of The Sunday Times. He is the author of Plan B – How Leaving the Euro Can Save Ireland. He is a co-author of The Business Compass – Perspectives on Business Ethics, published by Chartered Accountants Ireland. He is currently working on a book to be titled Practical Corporate Finance. 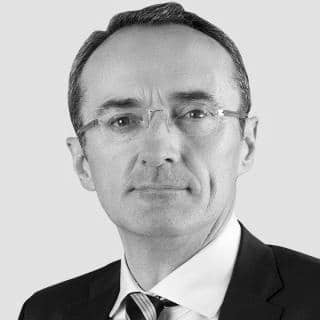 Cormac has developed and currently presents the Diploma in Corporate Finance (at Chartered Accountants Ireland) and the Diploma in Business Finance (at the Irish Management Institute). He also teaches finance at the Michael Smurfit Graduate School (University College Dublin). Cormac was born in Dublin, Ireland and raised in Banbridge, County Down and Castlebar, County Mayo. He was educated at University College Dublin and qualified as a chartered accountant. Since then he has worked in various industry and corporate finance jobs in Ireland and in Germany where he worked for seven years. His first job in Germany was managing a bakery in eastern Germany in the immediate wake of German reunification. Cormac also worked as special adviser to Tánaiste (deputy prime minister) Michael McDowell, during the 2002 – 2007 Irish government. Cormac is available for talks or Q&A on a range of economic and financial topics.